January is National Soup Month! Come celebrate with Homeschool Share! Homeschool Share has some fun activities to enjoy with your children, as you celebrate National Soup Month! Read Stone Soup by Marcia Brown, telling the tale of three hungry soldiers outwitting the greedy inhabitants of a village into providing them a feast. Homeschool Share offers a FREE Unit Study for this fun book. Survey ten family members and friends to find out what their favorite soup is. Record your findings on this FREE Soup Survey Printable. Read Growing Vegetable Soup by Lois Ehlert, colorfully describing the process of making soup, from seed to table. Your children will likely enjoy this FREE Unit Study and Lapbook. How many words can you find in “Alphabet Soup”? Challenge your children to find more than you with this FREE Alphabet Soup Printable. Define “Soup”. Ask your children to define soup. They can look it up in a dictionary, or give their best shot at a definition on their own. Young children can dictate to you the definition, and draw a picture of their favorite meal of soup on this Soup is… Printable. January is also National Soup Swap Month. Have or attend a “Soup Swap”. Use soup as an opportunity to teach your children about classification. Classification is the act of arranging into sets according to common properties or characteristics. Soups can be classified in numerous ways. Two broad groups are clear soups and thick soups. These can be further classified. Clear soups can be bouillon and consommé. Thick soups are classified depending on the type of thickening agent, such as flour, starch, cream, etc. The ingredients in each soup can also be classified in numerous ways, such as by food group (meat, vegetable, grain, etc.) or by kingdom (plant or animal). Use this Soup Classification Printable. Help serving at a local soup kitchen. Enjoy National Soup Month, making soupy memories together! Did you know about the gobs of buried treasure on Homeschool Share? Probably not. In an effort to get these resources back in the hands (and printers!) 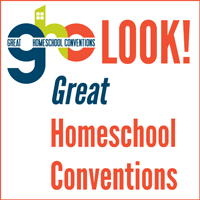 of educators, we will be highlighting them here on the Homeschool Share Blog. Be sure to subscribe to our newsletter to stay informed. Jen Geary contributed this adorable ABC letter matching game to Homeschool Share years ago. I am so happy to pull it out of the archives and give it the attention it deserves! Let your preschool or kindergarten student help hang the laundry with this fun alphabet recognition and matching game! Print the shirts, shorts, and socks on different colors of paper. Put clothes in a laundry basket. String a clothesline (ribbon, yarn, etc.) from one chair to another. Give your students the clothes and clothespins. 1. Have you child hang the clothes to the clothesline for fine motor practice. Help her by calling out the letters. 2. Ask your child to match the uppercase and lowercase letters by hanging them together. As you learn letters together, be sure to include some great ABC books. Here are five fantastic alphabet picture books! Here is another apple math activity for your youngest student. 1. Download the Apple Math Matching File Folder Game. 2. Cut out the pockets. Glue them to a file folder. 3. Cut out cards. Laminate the cards. 5. Let your student sort until all the cards are in pockets. 6. Celebrate with a hand in the air and big proud smile! Hooray! Fall is coming and bringing the traditional apple theme for preschoolers. Homeschool Share’s Apple Tree Math Mat fits perfectly with an apple theme and is good for practicing counting, learning one-to-one correspondence, and strengthening fine motor skills. If you want to use and re-use your math mat, consider laminating it. Sometimes in the middle of a four digit subtraction problem, I find one of my children on the verge of a brain meltdown–as in brain juice is starting to run out his eyes. I have learned to catch him pre-meltdown and ask him if he would like to ride his bike around the block or jump on the trampoline. He has proven over and over that he does need physical movement in order to get his brain unstuck. Other kids tend to have lots of wiggles they need to work out. And some tend to grow sluggish and slumpy by early afternoon. My friends, Kelly and Candace, had similar students in their own homeschools. As I mentioned last week, I am pulling treasure out of the long lost archives of the Homeschool forum, Yahoo group, and depths of the main site. I found a seven-year-old very buried file–Kelly’s Wiggle Worm Jar. A day later I discovered Candace’s activity cards. I took their great ideas, combined them, and updated the images. Now we have a fresh and shiny Wiggle Jar to share. Thanks so much to Kelly and Candace for sharing their ideas long ago. I can’t wait to get a jar ready for my boy. I hope you will find them useful in your own homeschool, too. Did you know about the gobs of buried treasure on Homeschool Share? Probably not. In an effort to get these resources back in the hands (and printers!) of educators, we will be highlighting them here on the Homeschool Share Blog. Be sure to subscribe to our newsletter to stay informed. This ABC Fishing Printable is so fun! Simon and I played with this preschool busy bag frequently when he was just a little guy. A big thanks to Joli Rumrill for contributing this alphabet learning game to Homeschool Share. Download the game using the link below. 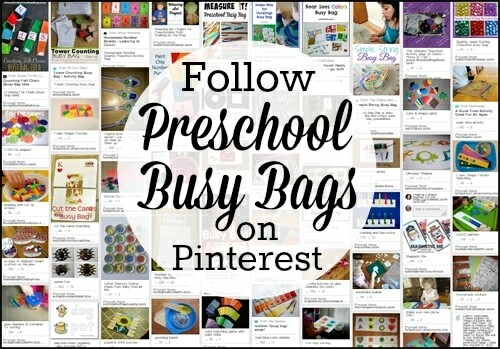 Find More Preschool Busy Bag Activities on the Homeschool Share Pinterest Board!